Figure which represents a woman swimming. It is handmade in Buño Oleria in red enamel and engobe. Set of figures which represents a Galician peasant couple. Handmade in Buño clay with engobe. Piece which symbolizes Saint James handmade combining brown, black and white Buño clay. Size: 45 x 15 cm. Piece which symbolizes Saint James handmade combining brown and white Buño clay. Size: 26 x 11 cm. Couple of masks made in Buño Oleria and in a rustic tone imitating a human face. 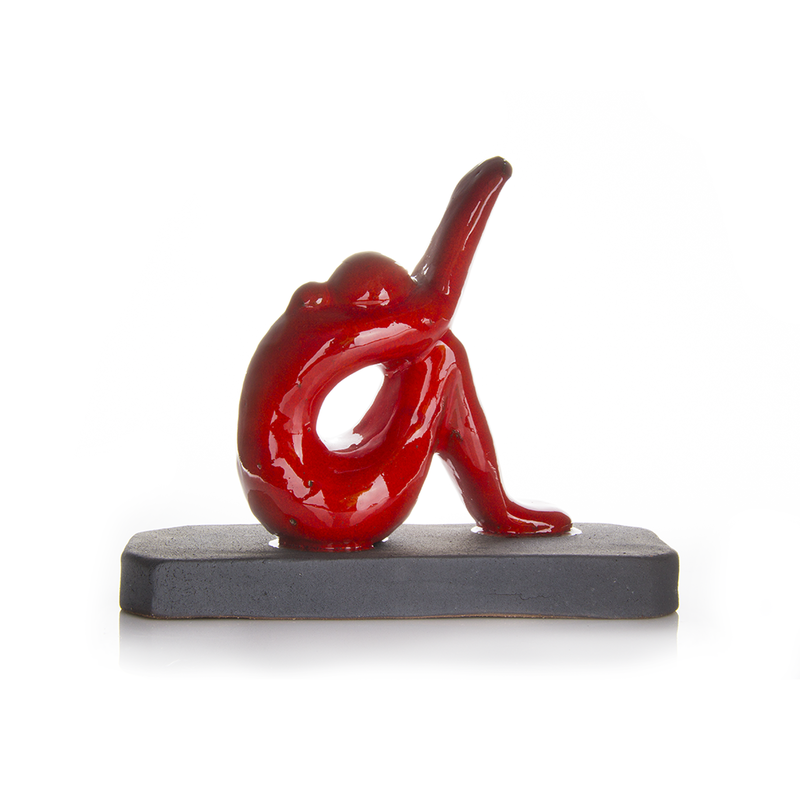 With an abstract shape are very versatile to decorate modern or contemporary spaces.